In the never-ending search for inspiration, I remembered that stored away in the dusty catacombs of a closet was a box containing many reel-to-reel tapes from the distant past. Amongst those tapes was a demo that I had recorded in 1972 with a group that I had assembled called Future Shock. When we recorded that demo, the group consisted of: Randy Brecker(trumpet); Michael Brecker(tenor & soprano sax); Don Grolnick(Fender Rhodes); John Miller(El. Bass) and Bruce Ditmas(drums). The recording session took place at Bell Sound Studios, here in New York City, on October 9th, 1972 from 9 P.M. to 3 A.M.! At least that's what I had written down in my datebook from that year. I also saw that there was an actual mixing session, which took place on October 11th, two days later. I certainly was new to all the fine points of recording and mixing, and the sound of the demo reflects that. The guitar and the Rhodes seem to be placed hard right, electric bass is in the center, the drums seem to be more right heavy than in the center in stereo, and the two horns seem to be hard left. Sadly, I did not make an indication of who the engineer was on the box, so I have no idea who recorded us. I remember that we did play some gigs around town, most notably at the old Folk City, which was then managed by Allan Pepper, who later went on to found the famous Bottom Line. I also recall that we played out in New Jersey at Richard's Lounge. Our book of music consisted of many of my humble tunes, and tunes from Hal Galper's two fantastic albums for Mainstream Records of that time period: "THE GUERILLA BAND"(1971) and "WILD BIRD"(1972). So, what was I hoping to find when I unearthed that box of old tapes? In truth, I remembered that on these rather primitive tunes of mine from that period, somehow there were some incredible Michael and Randy Brecker solos, and Don Grolnick solos too!!! I wanted to hear them again and, if only for the sake of great sentimentality, transfer the tapes and preserve them in a digital format. It took a bit of time to get it done, especially because the tape that I had was only a 1/4-track, and I could not play it here at home. For all I knew, it might not play at all, or worse yet, disintegrate upon contact with the tape heads. But, miracle of miracles, everything worked out, and the great Steve Fallone was even able to enhance, to some degree, what remained on the tape. I remembered an old tune of mine, which had been titled, "The Hobgoblin Stomp" because of its rather spooky atmosphere and comedic whole-tone references, and I hoped that maybe, just maybe, there might be something there worth salvaging, and one day re-imagining into something in the now. I don't know if that's possible, but the thought still remains after having heard it once again. When I look at the specifics of "The Hobgoblin Stomp" as it existed in 1972, as a composition, and barely that, it just seems to be a fusion-esque excuse to eventually jam over a one chord vamp!!! During the beginnings of the Jazz-Rock Fusion Era, I certainly think that there were far more interesting and creative "excuses" created by far more inventive composers than I was at that time. This is a certainty. However, there are aspects to these melodic phrases that still resonate with me in some way - perhaps it's the rather creepy nature of the note choices and the phrasing? Perhaps, it is all only natural considering that the basic vamp, though centered around a Bb7(9b5) sonority, produces the desired whole-tone feeling that I was hoping to explore? It's so hard for me to say, even now. On the positive side, as you will see and hear, the wonderful mind of Mike Brecker chose to put to use fragments from the melody as his solo began and developed. I will try to point out those moments as we go along. For the tenor saxophonists who are visiting these pages, the solo transcription and the lead sheet are written in the concert register of the guitar. In one sense, that's a good thing, because the tenor sax would be written in the same register, but transposed up a whole-step. So just keep that in mind as you are watching the solo go by. Also, as there is really no specific solo format on this tune, I decided to simply write in bar numbers at intervals of every 8 bars, to serve as a guide for discussion. If we are going to consider Bb7(9b5) to be the area of our harmonic center for this improvisation, there are some basic linear areas that one could choose to explore or not. In concept, I had always thought, back then, that the Bb whole-tone scale [Bb, C, D, E, F#, Ab] would be a primary option. Of course, the Bb blues scale [Bb, Db, Eb, F, F#/Gb, Ab] is always a great possibility and one that should never be overlooked, no matter how far out any improvisation might be. One could also apply elements from the F melodic minor [F, G, Ab, Bb, C, D, E]. Intellectually, those might some of your best options. As Mike's solo begins, the 1st 5 bars are focused on the notes Ab and E-natural, both of those notes appear as tones of emphasis in the melody. Especially around the Ab, Mike playfully surrounds it with chromatic upper and lower neighbors, all played with great rhythmic diversity. Bars 6-11, are also very much connected to melodic material, the descending gliss from D-natural down to Bb in bar 6 reminds one of the ideas that appear in bars 11-12 and 14-15 in the melody. The gliss from C down Ab in bars 9-10 is more directly related to bars 14-15 of the melody. The whole-tone ideas that Mike plays in bars 7-8 and 10-11 are very much connected to melodic material that appears in bars 11-12 and 15-16. During the solo, Mike uses his great creativity to use them as springboard to other places. During bars 11-13, Mike appears to be applying notes from the Bb altered dominant scale [Bb, B-natural, Db, D, E, F#, Ab] which contains the same notes as B melodic minor [B, C#, D, E, F#, G#, A#]. As a listener, I especially respond to the B-naturals, the usage of the descending D major triad, and alternate fingerings emphasis on Ab in bar 12. As the solo continues, in bars 14-15 you hear a very characteristically intuitive ascending line in chromatic whole-steps, for example: Db-D-Eb; E-F-Gb; G-G#-A; Bb-B-C; etc. The thrust of the line is somehow arrive at a target note, in this case a high D-natural, but the actual route is very spontaneous and can include notes that might not even correspond to any of the more obvious scale options. I really love the little phrase coming out of the high-note in bar 15 when, in bar 16, he lands on a wonderful, and rather comical, trill between E and F-natural. The roller-coaster ride of notes from bar 17 through bar 20 is really born, to these ears, of the group interplay that existed between Mike, Don Grolnick, John Miller, and Bruce Ditmas. Perhaps this is all one of the positive results of the rhythms of this particular vamp and bass line? The target note, again just intuitive, is a high, off-the-horn, A-natural which is certainly not one of the more obvious note choices, but, in context? It sounds great, especially as it tails-off into a G-natural!!! The line from bars 22-24 is really pretty 'classic' Michael Brecker, as you hear him passing over the b5 substitute for Bb which E-natural. As the line descends, all of this takes him from the tippy-top register of his horn down to the bottom and the characteristic honking from a low Ab to Bb!!! This is one of great, great emotional attributes of the tenor sax, especially in the hands of this super-young 23 year old master-in-the-making!!! From the middle of bar 24 through bar 29, commencing on a high Ab, this long phrase exemplifies the scope of Mike's influences from the R&B and Soul tenor sounds of players like King Curtis and Junior Walker to Mike's own unique chromatic stylings, ending on yet another great long-short phrase of F# to D-natural in bar 29. As the 2nd-half of the phrase continues from bars 30-34, you hear the jagged and angular line shapes that could be associated with John Coltrane. There's a chordal arpeggio in bar 31 that should be pointed out as he outlines a common voicing for what would be Bb7(13b9). Spelling up you would have: B-natural(b9)-D-natural(3rd)-G(13th)-Bb(root). Both the B-natural and the G-natural would not be associated with the overall whole-tone feeling, but more in the area of the Bb half-tone/whole-tone diminished scale [Bb, B, Db, D, E, F, G, Ab]. In the end, all of this is leading Mike towards a moment where he is in a bluesy-ish area between a Bb major triad and then a Bb minor triad. The last note you hear is a Db, and again, intuitively, this is no doubt that this note meant the most to him, emotionally speaking. It is also worth paying attention to the three notes that Mike uses to begin the next long phrase, as you'll hear him play F#-G#-B-natural resolving down a half-step to our root, Bb. Though I try not to make "too much" of such things, I tend to see this brief moment as the insertion of the b5 substitute of the V7 chord area, F7 with notes that can easily be associated with F#m7-B7. This is abstract and imaginative linear thinking, but this was such a huge part of Michael Brecker's playing vocabulary. To continue, bars 35 through 37 feature a long ascending line, but this time the direction of the chromatic whole-steps is reversed, for example: Bb-A-Ab; D-Db-C; F-E-Eb; Gb-F-E; G-Gb-F, etc. [Note: This kind of line shape found its way into Don Grolnick's playing, and became a common device in many of his great solos.] Again, this is all intuitive playing and the goal, in this example, is to take him to the upper, outer, more stratospheric regions of the tenor saxophone. In this phrase, between bars 38 through 42, the emphasis is placed more on the blue note of Ab which keeps this exploration closer to that more earthy genre. This is also one of the high moments of intensity created by Mike's emotional playing and the response to it from Don, John, and Bruce. They were really hitting it HARD!!! As for the usage of this register of his horn, I know that in his practice time and jamming time, Mike sought to master and control the upper regions with greater fluidity. But, he wasn't finished up there yet during this solo. He comes down briefly from the peaks, in bar 42, he again alludes to the b5 sub of an E major triad. Then in bars 43-44, he descends all the way from the top register down to his lowest Bb to Ab, honking them both out!!! Finally, in terms of extending the register of his horn, from bars 45 though 49 he finds a way to go even higher, this time hitting his high C-natural, which is, needless to say, WAY OFF THE HORN!!! Notice that, this time, he arrives at that pitch, via a series of triads: Bb major(D-F-Bb) - F minor(Ab-C-F) and finally a C triad(E-G-C), all 2nd inversion triads. As he descends, notice the emphasis he places on the note E-natural(b5). The fantastically syncopated rhythmic activity from Don, John, and Bruce urges Mike on as what we can still hear of the solo continues until it fades away. The last audible phrases are clearly born of Mike's love for the blues and soul tenor areas of our music. Even though this particular vamp might be quite dissonant to some ears, having the elements of the blues present always keeps the playing grounded in an earthy area that meant a lot to all of us who came together to try and find another way to express our influences during these early years in the '70s. 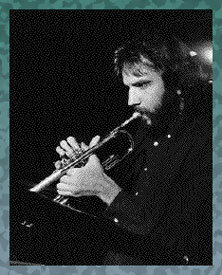 As my dear friend and bandmate here, Randy Brecker wrote to me, after having heard this demo for the first time in decades: "those sure were great days!" I can only say, how lucky was I to have been surrounded by these incredible players? If you are wondering, "Why does the solo fade out? What happened next?" To be perfectly honestly, as some 42 years have now passed, I don't remember why each of the songs on that demo recording are exactly this way on the reel-to-reel tape that I have had all these years. If I was going to venture an educated guess, I would think that, perhaps, I felt that my own playing and sound was such that I couldn't bear to listen to it - and did not want anyone else to hear it either!!! So, these demos became composition demos with the purpose of trying to secure a record deal for recording this music. Needless to say, no one, not a single Jazz or Jazz-Fusion record executive heard any potential in this music, and that was that. Of course, when I listen to these tunes now, I would have to say that I agree with all of them. To the right of this text, you can view the only photo that I could find, after tireless internet searching, of the main room at Bell Sound Studios in New York City. The more I look at this photo, somehow memories begin to come back to me, and I can see, visualize, the 6 of us playing together in that room. If you are at all remotely curious as to what became of some of the tunes on this demo, of the seven songs we recorded, 4 of them would find a recorded home in 1976 on saxophonist Steve Marcus' LP "SOMETIME OTHER THAN NOW." 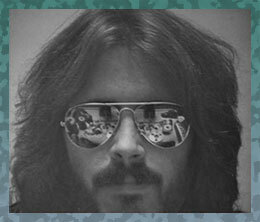 The song "Candles" found its best home on my 1979 album, "ARROWS." "Candles" and "Cloud Motion" were also recorded on the live album, "BLUE MONTREUX"(Volume II), where Mike, Randy and I appeared as part of the Arista All-Stars alongside Mike Mainieri, Warren Bernhardt, and a very young and super-talented, Steve Jordan. Though it was not titled as such back in 1972, "El Faquir" was re-imagined, and appeared on my 2007 recording, "BORROWED TIME." As this presentation is really a celebration of the life and work of Michael Brecker, and this particular demo from 1972 is really never going to be for public consumption, I also wanted to share with everyone who happens to be visiting this page Mike's incredible soprano sax solo that appears on the demo. 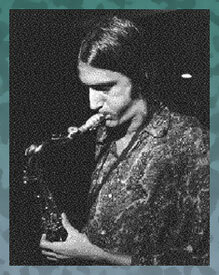 Everyone who knew and ever worked with Mike knows that he just hated the soprano sax, and rarely, if ever, played it, mostly because of the problems all players experience trying to control the intonation of the instrument. You're flat, you're sharp, you're all over the place. Or, as Mike used to say: "It's flarp!" All self-effacing nonsense aside, he had a very special and unique voice on the instrument, and I'm happy and proud to share this particular evidence with his legions of fans. I would also note that, at the very end of what remains of "El Faquir" on the demo, you get to hear the beginning of a wonderful Don Grolnick solo on Fender Rhodes. It is to my great regret that no full version of this performance exists anywhere. In the end, as we arrive at today, in 2015, only two of the tunes never got recorded again. They were, our current subject, "The Hobgoblin Stomp" and another piece, then titled, ".....and the Little Green Men did Frolic." Yes, looking back, that title is really embarrassing. Sometimes, especially in one's youth, you put a "comical" title on something because you are not self-assured enough to take the piece of music seriously. Many of these song titles from that period were like that. As I sit here today, I can only shake my head in disgust at myself. But, with the benefits of the passage of time, I have certainly forgiven myself for these transgressions. It is just pure coincidence that I happened to present two Michael Brecker solos in back-to-back months. That was never my intention, but, this ill-fated demo tape came to mind, and I was simply inspired to do this work. As we near the month of March in 2015, and Michael's birthdate draws nearer, it is just as difficult to face the fact that nearly 8 years have come and gone since he passed away. Like all his friends, I miss our conversations, the occasional extended phone call, the terse and very amusing e-mails. I miss the wisdom of his counsel during times of great difficulty. Mostly, I guess I just miss knowing that he was out there somewhere, enjoying his life, his family, and music. Like his many, many fans, I miss the anticipation of getting to hear something new coming from his imagination on a just released CD. I know, I'm repeating myself, I still just miss him!!! Addendum I: As I was thinking about the passage of time, years into decades, Peter Erskine, via his website, announced that he was offering "THE COMPLETE LONDON CONCERT"(1995) by Don Grolnick and a stellar group that included: Randy Brecker(Trumpet),Michael Brecker(Tenor Sax), Robin Eubanks(Trombone), Marty Ehrlich(Bass Clarinet, Alto Sax & Flute), Peter Washington(Ac. Bass), Peter Erskine(Drums), and Don Alias(Percussion). Some years ago, Peter had offered, in CD format, the 1st Set of the "THE LONDON CONCERT," and I had purchased that for my collection. But, when I saw this new announcement, and recognized some of my favorite Grolnick song titles, I had to make this purchase, even if part of it was for a 2nd time. Since then, I have been reveling in this music and the various solos that are now included. One particular solo stood out to me, and as I listened to Michael Brecker's incredible improvisation on "Rainsville," I couldn't help but think that, this performance was roughly 20 years after we had recorded "The Hobgoblin Stomp," and it was 20 years before our present date of 2015. Listening to the evolution of Mike's playing over time is such a wonderful treat for me. There is just so much to enjoy in this collection from one live performance, recorded by the BBC initially, and now presented via the good graces and pure intentions of both Peter Erskine and Don's loving wife and widow, Jeanne O'Connor. I am simply using this platform of mine to urge anyone reading this to purchase the recording, and then, enjoy the music as I have been. Thanks so much Peter for allowing the rest of us to share in this joyful gift of music. Listening to Don's spoken and most witty introduction to "One Bird, One Stone" reminds me of his marvelous and unique sense of humor. How much Don is missed by all those who played with him, and loved him as their friend for so many years. Addendum II: During these years, Bruce Ditmas and I were really close friends, in addition to being musical colleagues, and we both have similar recollections of some important gigs that we did together. So, I was inspired, yet again, to revisit the box in the closet that contains all my datebooks to see exactly when one of these important gigs took place. 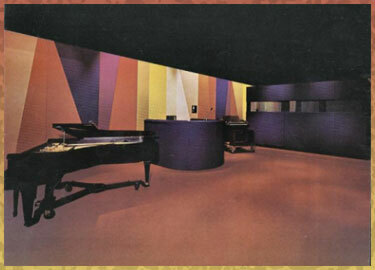 As it turned out, our concert with Paul Bley took place at Columbia University on February 28th, 1974. That day happened to be the 1st birthday of my son, Heath. The band that night included Dave Holland. I remember our one rehearsal, if you don't count our long soundcheck as a rehearsal, downtown at Paul's apartment which he shared with singer/composer Annette Peacock. What also becomes fascinating is that, so much of the music that we performed during that concert, some 4 months later, Bruce went on to record it on a now famous album with Paul Bley, Pat Metheny, and Jaco Pastorius on June 16th, 1974. Originally, it was Paul Bley's album and, as the years have come and gone, it has somehow become Jaco's album!!! Anyone who has heard that recording would find Pat Metheny to be almost unrecognizable as "the voice" that he was to become. "BRIGHT SIZE LIFE" was not recorded until December of 1975. When all is said and done, I only want to restate how absolutely fantastic Bruce played on these demos of mine from 1972. His playing was filled with passion and spontaneity. When I listen now, I value these qualities very much!!! Thanks so much Bruce for what you gave to this music.